After Champion song along with several other hits, the T20 veteran is set to grab the eyeballs with a new number. When it comes to entertaining fans, West Indies star Dwayne Bravo definitely knows a thing or two. He keeps the fans on their feet not only with his impressive all-round displays and celebrations on the field but also his songs off it. Well, Bravo has given his millions of fans yet another song. The star all-rounder gave the fans a sneak peek of his latest song titled ‘Asia’ which is all about his friendship with the Asian cricketers. Bravo has made a name for himself as a singer since the release of his hugely popular chartbuster song ‘Champion’. The signature step of that song had spread like wildfire and became the talk of the town. Even Bravo’s teammates like Chris Gayle and Darren Sammy had included it in his on-field celebrations like Bravo. In fact, the whole team had celebrated their triumph in the 2016 World T20I by dancing to the tunes of Champions. And Bravo has not looked back since then. After the success of Champion, he released hits like ‘Chalo Chalo’, ‘#1’ and ‘Trip Abhi baaki hai’. And now Dwayne Bravo has given his fans yet another song that looks set to take the world by storm. 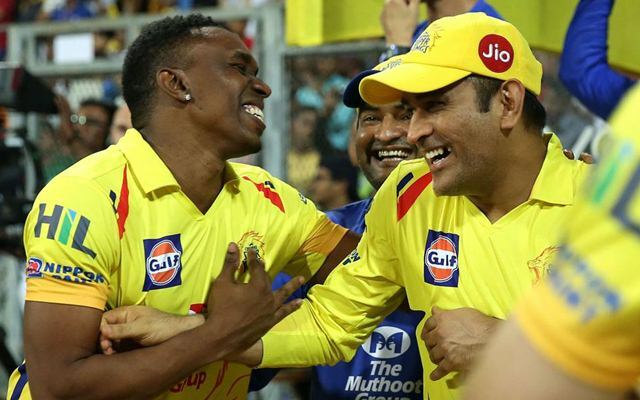 The song is also set to make Bravo even more popular in Asia especially India as he mentioned several big-name players in his latest number. The song starts off in Sri Lanka. Bravo said he would call up his friend Kumar Sangakkara and ask him to call another Sri Lankan legend Mahela Jayawardene. He then moves to India, mentioning Virat Kohli and MS Dhoni before pointing out Bangladesh’ Shakib Al Hasan. Bravo also revealed the release time of the song, confirming that the song will hit the market during this year’s IPL. Well, the fans can now look forward to some more celebrations from the Chennai Super Kings star.